2. We scored some awesome dine-out/carryout deals this week. 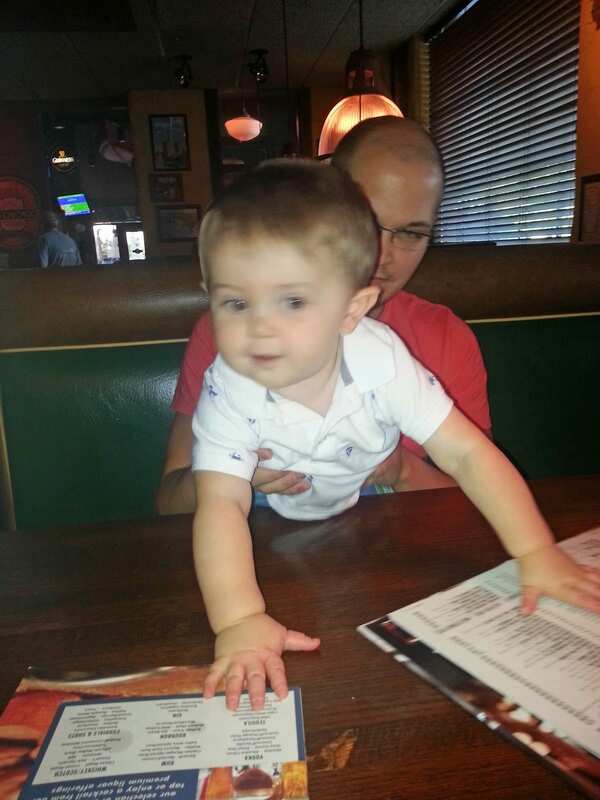 We went to Old Chicago on Tuesday night, since it was $1.99 kids meal night. That, combined with a $5 off $25 coupon I had made for a cheap family date night. Oh, and I just so happened to get one of those survey offers I was talking about here! Then Wednesday, we used a discount card purchased from a fundraiser to get 2 combo meals from Raising Cane’s for less than $9! Kane shared my meal, so it was a great deal! In case you missed it, check out my post from earlier this week about dining out on a budget! Kane would like everything on the menu, please. 3. New Birchbox! This month’s box was a collaboration with Women’s Health magazine. I just got it in the mail yesterday, so I haven’t had a chance to try everything yet. I wasn’t a huge fan of the body lotion’s smell, and the body wash was just okay. I did, however, like the Cynthia Rowley Beauty Creamy Lipstain (in Valentine). Oh, and I was pumped to get a FREE one-year subscription to Women’s Health as part of the box! If you want to subscribe to Birchbox, click here. For my readers who have already subscribed, what do you think about Birchbox? 4. I have been wanting to try out Sephora’s eye shadow for a while, but it is $15 a pop, so I had held off. Earlier this week, though, I noticed some colors on sale for $5 I picked up 3 of those, which means I got the awesome interchangeable palette for free ($12 value)! Heads up–there will probably be a review, and maybe even a tutorial about the eyeshadow! I also grabbed a mini Deborah Lippman Gel Lab set, as I’ve been wanting to review it for the blog, and some Jack Black beard lube for Chauncey. One of the best things about ordering from Sephora is all the samples you get! I’m really excited to try out the new Benefit They’re Real! Push-Up Liner. I would never shell out that much money for it, but it’ll be fun to play around with since I got the free sample. If you do shop, don’t forget to use Ebates–I got $5.52 back on this order! You can read an explanation here of what Ebates is and how to join. 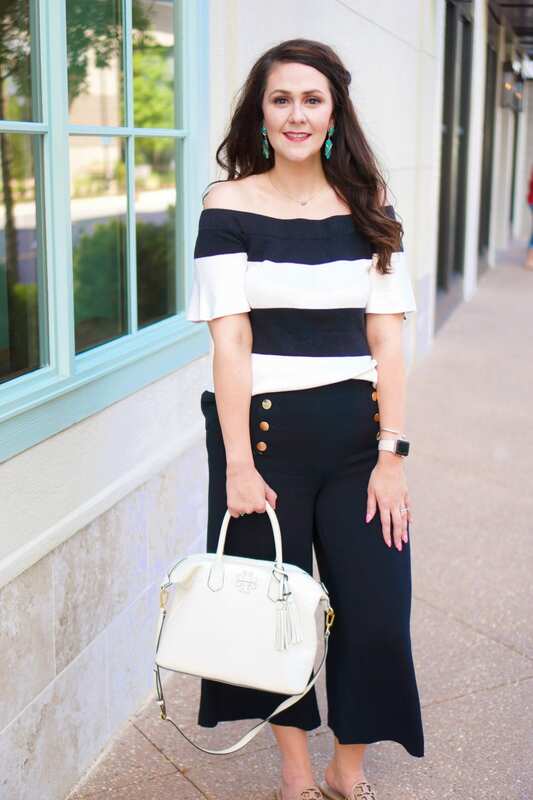 As always, I’m linking up with Lauren from the Lauren Elizabeth. I got that same body cream in my Birchbox and wasn't a huge fan either, though I did get a pretty Cynthia Rowley silver eyeliner that is great for a night out! The Women's Health subscription was definitely a great add-in this month! I scored the same eyeliner box before last, I think! It's super cute. I just signed up for Ipsy as well. I'm curious to see how the 2 compare. 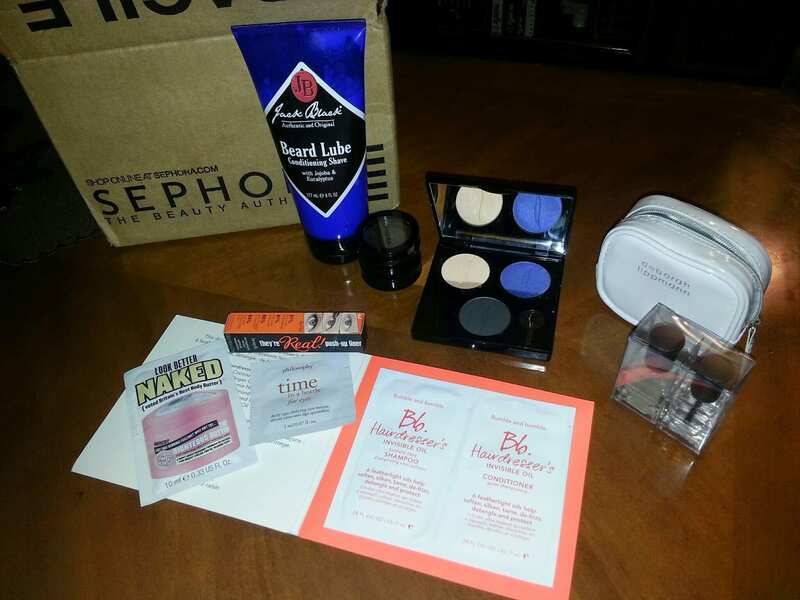 I LOVED my Birchbox (and Glam Bag too!) but sadly cancelled at the end of last month. I plan on re-subscribing after we move into our new house, though, so hopefully I'll be receiving again before Christmas. I liked Ipsy better than Birchbox, though I did love both. I just liked the makeup I got in Ipsy more than the shampoo samples I kept getting with Birchbox. Your posts were what convinced me to try it! I'm excited to see what I get. I have $30 in Birchbox points so I'll probably wait til I get $40 worth and then cancel if I truly like Ipsy more.